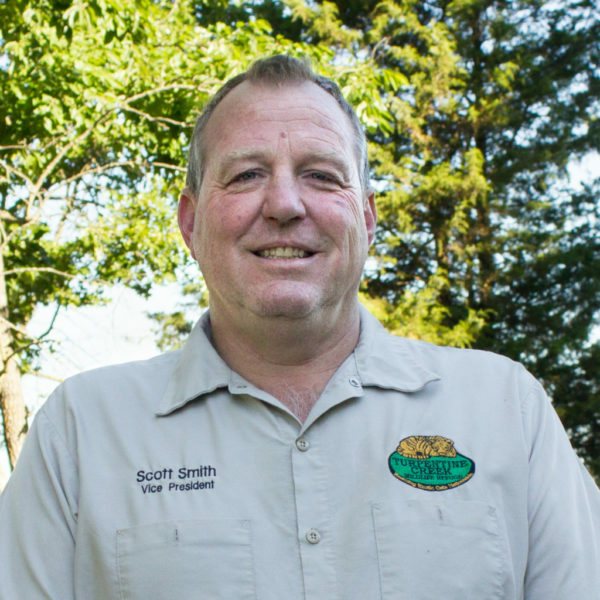 Scott Smith is the Vice-President, resident photographer, marketing materials designer, and general jack-and-master-of-all-trades behind the scenes at Turpentine Creek Wildlife Refuge. In the nearby town of Eureka Springs, Scott is President of the Corps du Cavaliers –the group behind the wildly popular Mardi Gras events in Eureka Springs. He is also one of the Directors of the Eureka Springs Chamber of Commerce. Scott met his beautiful wife, Tanya, in 1994, at which point he dedicated his life to expanding the mission and goal of the Refuge. It has been with his able assistance and hard work throughout the years, that TCWR has become one of the premiere big cat rescue facilities in the country. When not sitting behind his computer or engineering the rescue and care of exotic cats, Scott is also a devoted and loving family man. He has three daughters, a son, a nephew, and six young grandchildren in his family – all of whom are the respective apples of his eye. As busy as he may be, Scott is never too busy to lend a helping hand wherever needed. Look around and you are sure to see him giving his time and talents to help rescue and care for all the animals at Turpentine Creek Wildlife Refuge.